Alfred John Davis was born in Bristol in 1855 although his parents have not been established due to the frequency with which the name occurs. He is recorded in the 1871 census as a 16-year old draper's assistant (one of seven) learning his trade and living at the drapery of Miles Edward Phillips of North Street, St James, Bristol. In the spring of 1881 Alfred married Ellen Sarah Portbury (b1852, Topsham, Devon) at Barton Regis, just outside Bristol. They set up home in Yeovil where Alfred had his own shop at 2 Hendford. Alfred and Ellen were listed there in the 1881 census together with a domestic servant. 26-year old Alfred gave his occupation as "Draper employing 1 Assistant & 1 Boy". In May 1882 Alfred advertised for a young lady as an outdoor apprentice and a general servant (see Gallery). Alfred and Ellen had a daughter, Violet Maud, born in Yeovil in 1885. 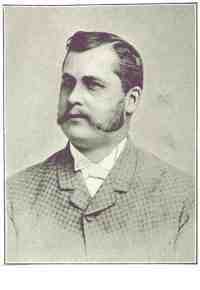 In August 1889, Alfred's neighbour, watch and clock maker Frederick Dobell of 1 Hendford, retired and moved to Torquay. Alfred saw an opportunity and acquired Dobell's premises. He connected the two shops (see Gallery) to create one large shop as described below. Alfred's business does not appear to have been listed in any local trade directories. Linen Draper, Silk Mercer, &c.
Among the places that attract special attention in the centre of Yeovil the cash drapery establishment of Mr A J Davis, linen draper, silk mercer, &c, of 1 and 2, Hendford, is worthy of notice. It is situated opposite Stuckey's Bank and close to the principal hotels and business places, and both in internal arrangements and outward appearance is in every way worthy of its surroundings. The premises consist of two large adjoining shops with internal communication, and the show rooms are admirably arranged to meet the growing requirements of an extensive connection and afford facilities for inspection of stock. Established many years, during the last ten of which Mr Davis has been proprietor, he has, with untiring energy and enterprise fought his way into the position which he holds in the trade, and developed his business to such an extent that about twelve months ago, on Mr Dobell (who had carried on a jewellery business at No 1) vacating his premises, he found it necessary to secure the accommodation, and hence the warerooms are now among the most commodious in the town. The comprehensive stock is divided into many departments in order to meet the convenience of the large body of customers. The large and varied stock comprises a first class selection of calicoes, flannels, blankets, quilts, sheetings and household drapery at reasonable prices, also baby linen, ladies' underclothing and corsets. The millinery show room presents a choice selection of goods; the latest novelties are always on hand and the most recent fashions shown the earliest possible moment. Laces, feathers, flowers, ribbons, hats and bonnets of the most select patterns and designs, dresses, skirtings and jackets and dress materials in the most fashionable styles are always in stock; also an assortment of Berlin and other fancy wools, knitting and the Bavarian yarn, for which Mr Davis is sole agent, a valuable speciality, as also "My Queen Vel-Vel." With experienced assistants at his command, Mr Davis is always enabled to execute orders promptly, and customers can rely on obtaining the best value in the market at the minimum cost. The mourning department contains a fine stock of goods, and urgent orders are quickly attended to; the business throughout has gained a well merited reputation. The 1901 census recorded Alfred, Ellen and Violet at Nos 1 & 2 Hendford. Living above the shop premises with them were two draper's assistants, a draper's apprentice, a milliner's shopwoman and two general domestic servants (all six were female and under 25). Around 1900 Alfred moved his business and family to Sidmouth and the 1901 census recorded him as a draper in High Street, Sidmouth. He had one assistant and a general servant. The 1911 census recorded Alfred and Ellen at the Market Place, Sidmouth. They had no live-in assistants or domestic help. 55-year old Alfred gave his occupation as 'draper & milliner' and Ellen gave hers as 'assisting in the business'. I found no further reference to Alfred or Ellen in the records. After Alfred's departure, 1 & 2 Hendford were returned to two independent shop premises. 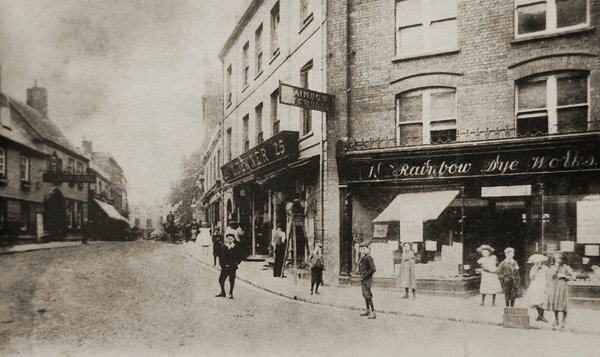 No 1 was briefly the Rainbow Dye Works (see last Gallery photo), but within the next decade both 1 and 2 Hendford were acquired by Lindsey Denner and incorporated into his store. Today both 1 and 2 Hendford survive although they have been extended upwards and merged into the High Street / Hendford wraparound Beale's store we see today. Two advertisements placed by Alfred in the 5 May 1882 edition of the Western Gazette. 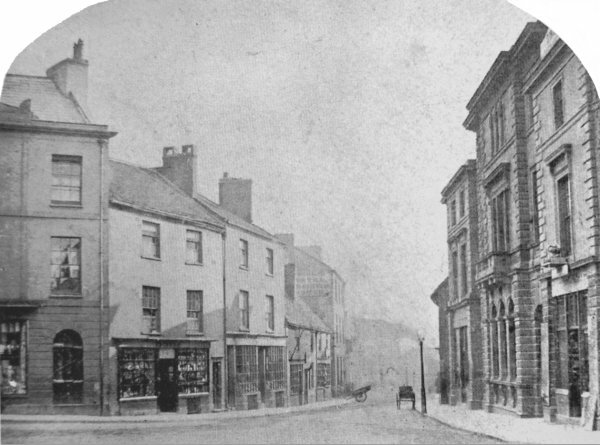 This photograph, one half of a stereoscopic pair, was taken around 1870 and looks down Hendford with High Street and the shop of Linsey Denner at extreme left. Next to Denner's was the home of clock maker Robert Dobel at 1 Hendford, but by the time of this photograph the home, workshop and shop premises of his son Frederick Dobel. Next to Dobell's premises, at 2 Hendford, were the premises of Alfred Davis by 1881. 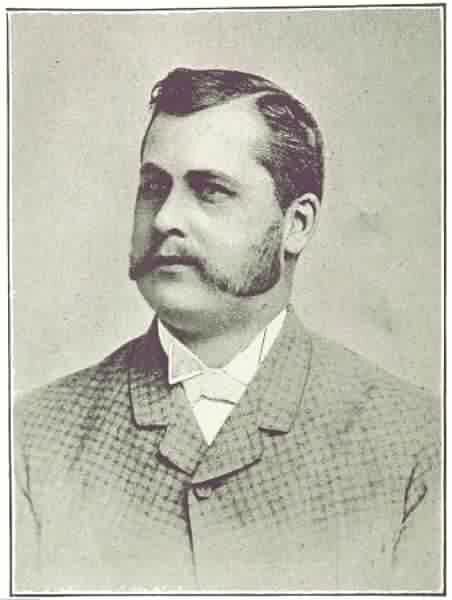 In August 1889 Alfred Davis took over Dobel's premises and combined the two shops into one. 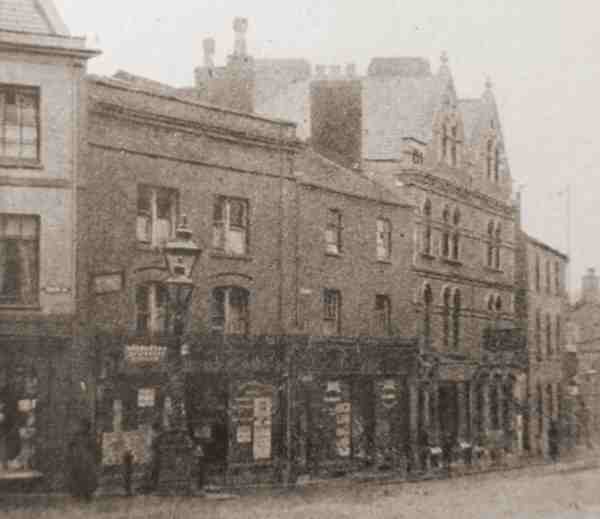 The impressive building at right is Stuckey's Bank, facing High Street, and demolished in 1918. A view of High Street taken from Hendford about 1905. By this time Alfred Davis had left Yeovil and his store had been returned to separate premises. ! Hendford, seen here at right, became the Rainbow Dye Works.